The holidays have become with synonymous with all kinds of things down the years, but one of the biggest developments in recent times for big businesses has been the importance of having an iconic festive commercial. We are all used to the ad spots during major events like the Superbowl being big-budget events, but Christmas has also now become a time for brands to pull out all of the stops to win over the hearts and minds of consumers – with music playing a key part in that battle. Across the Atlantic in the UK, the battle to be top of the charts at Christmas has always been a hugely important tradition. However, with interest in that on the wane in recent years, arguably the most powerful way for artists to make a breakthrough is by getting a track used on a much-coveted festive ad. The commercials for department store brand John Lewis have become a hugely anticipated annual event in Britain, with each ad having their own theme and a high-profile name providing the track which accompanies it. Artists featured in the past include Ellie Goulding, who was recently given an honor from the UN, and the singer-songwriter Tom Odell. 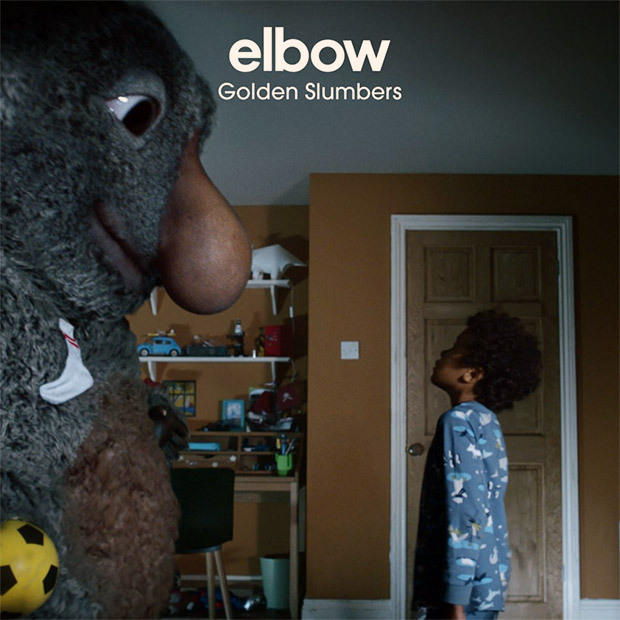 However, this year it is the turn of Elbow with a cover of Golden Slumbers, a seminal track from the Beatles’ 1969 classic album Abbey Road. Discussing their decision to do the ad, the band’s frontman Guy Garvey said simply that for many people the commercial’s launch is now the official start of Christmas. However, the music used in ads is often about more than attracting a big name or getting the rights to use a well-known song. Quite often it is simply about having the right track which will create a mood to fit both the imagery of the ad and the message it is trying to convey. For example, how effective would Guinness’s iconic Surfer ad from 1999 be without the pulsating soundtrack of Leftfield nudging the tension levels higher and higher as the narrator speaks? In addition, the soundtrack to this ad for Hippodrome Casino’s online site is an upbeat, slick groove which perfectly complements the visuals and the concept that the website brings the action from the famous London venue into players’ homes. Hippodrome Online Casino TV Ad from The Specialist Works on Vimeo. Classical music is also hugely effective as a backing for adverts. Jaguar’s well-known ‘British villains’ commercial from 2005 features the likes of Sir Ben Kingsley, Tom Hiddleston and Mark Strong getting involved in all kinds of high-octane action on the streets of London while discussing just why Brits are so suited to being the bad guys in Hollywood blockbusters. The soundtrack? How could it be anything but a big orchestral piece which more than evokes a classic James Bond feel. In contrast, the commercial for the mobile game Clash Royale in 2016 used a classical piece to not only up the tension but also the humor in the advert. As all of the examples above demonstrate, the right music can push a commercial to entirely new level with viewers – and according to experts, there is often very much a science behind that. Going back to John Lewis adverts for a moment, an analysis has shown that the songs used for their festive commercials always tend to be delicate ballads with a spare arrangement which are clearly designed to tug at our heartstrings. In addition, they also switch between major and minor chords, although the final moment is always a major. Why? Because it provides – literally – a comforting, hopeful and positive note for the song to end on. After all, ending on a sad note simply would not do at Christmas would it? Considering the huge role that music plays in commercials, it is perhaps not a huge surprise that its importance is now recognized with awards. The Clio Awards, which were created to recognize major innovations and success stories in the world of advertising, now feature three prizes related to the use of music in promotions. The awards are based around ads which have appeared in the three Billboard & Clio Music’s Top TV Commercials charts. The Breakthrough chart is for commercials which have pushed a song to prominence, while the Collaborative Debut is about new songs created for ads. Finally, the Classic chart is for classic hits which have enjoyed a new lease of life thanks to an ad. This year’s ceremony was held in September in New York and features performances from artists including Record Store Day 2017 supporter Iron and Wine. In terms of the prizes, Marian Hill won the Breakthrough category for the use of the song Down on an Apple ad and Alex Da Kid’s Not Easy took home the Collaborative prize for a track used by IBM. In terms of the Classic award, the White Stripes’ 2003 hit Seven Nation Army was recognized for its use on a Beats commercial. The fact that songs used in advertising are now recognized in this way shows how music is now an intrinsic part of the marketing world. Whether it is covers of classic tracks, completely original songs debuting in commercials, or simply a bed of music designed to meet the mood, the importance of it cannot be overestimated. While Christmas commercials may grab many of the headlines, it is safe to say that the soundtracks of ads will be something that music fans and the general public will be discussing for many years to come.